Feb. 10 (UPI) — Prince Philip, the 97-year-old duke of Edinburgh, has voluntarily given up his driving license, one month after he was involved in a crash in Norfolk, England, Buckingham Palace announced Saturday. 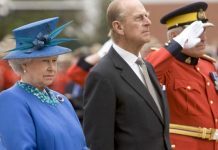 “After careful consideration the duke of Edinburgh has taken the decision to voluntarily surrender his driving licence,” Buckingham Palace said in a statement. Norfolk Police confirmed Prince Philip surrendered his license to officers, and it would be returned to the Driver and Vehicle Licensing Agency, the BBC reported. On Jan. 17, he was involved in a collision on a crossroads near the Queen’s Norfolk estate. His Land Rover overturned, but he was not injured. Emma Fairweather, a passenger in a Kia Carens sustained a broken wrist, though a woman driver and 9-month-old boy escaped unharmed. “We review each file carefully before a decision is made and will take this development into account,” a spokesperson told The Telegraph, in reference to the license surrender. “I would like you to know how very sorry I am for my part in the accident,” he wrote, on Sandringham House headed paper and printed in the Sunday Daily Mirror. In 2016, the duke drove President Barack Obama and Michelle Obama. He retired from public life in August 2017. Since then, he has appeared in public alongside the Queen and other members of the Royal Family at events and church services.